The first time Emily saw the outhouse at the bottom of the rambling, overgrown garden, she was entranced by the colourful foliage bedecking its red brick walls. Her family had only recently moved into this old house and investigating it thoroughly was irresistible to an inquisitive girl of twelve. This was all news to Emily, but interesting all the same. She wondered whether that was the reason Dad had wanted this place so badly, especially as it was very run down and needed a lot of work doing on it. Until now she’d thought Dad wanted the house because it was big, and cheap for the size. Mum was expecting again, and a family of eight would need a lot of bedrooms. ‘If you look inside, you’ll see some really old tools,’ Dad added as an afterthought. Straight after breakfast, Emily headed out into the early September sunshine, pushing the dismal thought of school next week to the back of her mind. She flipped the latch on the old door and stepped inside. ‘All in good time, Emily. We’ll have some years to talk now we’re acquainted. I can tell you a lot about many things – and yes, just Grandad will do nicely. But please don’t ask about what happened in France the day I died, ’cos I don’t rightly remember after I went over the top. Emily watched her grandad fade away then hurried back to the house. She’d spend some time searching the Internet for information about the Great War and ‘going over the top’. Then she’d look up all about growing Virginia Creeper. So tomorrow, if Grandad mentioned them, she’d have no need to ask so many questions and tire him out. But there was one question that continued to pique Emily’s curiosity and she sighed, knowing she wasn’t likely to find the answer on the Internet. Tomorrow, she’d simply have to ask Grandad why he couldn’t meet up with Grandma now that they were both dead. This is a story I wrote over a year ago as one of the longer ones for my book ‘A Dash of Flash’. For anyone who doesn’t know what a flat cap is, here’s an image from Wikipedia with a little bit of information about what one actually is – also from Wikipedia. My husband, who’s as ‘Northern’ as can be, being a Yorkshireman, wouldn’t dream of gardening without his flat cap on his head. I love Emily taking the discovery of the ghost all in her stride, and being so excited about it. Your story is lovely. A nice read. But please don’t ask about what happened in France the day I died, ’cos I don’t rightly remember after I went over the top. – my favourite line and i think he is such a sweet grandpa. Emily’s questions is so innocent yet thoughtful about the people she loved. Lovely flash MillieThom! Thank you, Gina. I wanted to make Emily’s constant barrage of questions into something endearing and a little humorous, too. I’m glad you like the way she turned out! What a great character – Emily is so inquisitive and brave, and also not at all bothered by ghosts and death, which is interesting at her age. I hope she forgets about looking up what going “over the top” means, though. I wonder whether Emily’s dad knew that she’d be able to see the ghost. I go the impression that only family could. Otherwise the place would have a scary reputation for being haunted, which I’m sure a curious girl like Emily would have picked up on right away. This feels it’s setting the stage for a longer story. Were you thinking of expanding it? Thanks, Joy. I rather like Emily, too. 🙂 It’s funny you asked about expanding this story because it’s one I’d already wondered about. I really enjoy stories set in the First World War and I’ve had a few ideas how I could develop this into at least a novella. But until I finish my trilogy (!) I can’t think too much about it. I know what you mean. I’d like to try other projects too, but I feel pretty committed to getting this novel finished first. I can see how there’s even more pressure when it’s part of a trilogy! Lovely story. Thanks for all the extra names for a flat cap. Thanks Peggy. I didn’t realise there were so many names for a flat cap until I looked it up! What a nice story Millie! Absolutely charming story, Millie. I was spellbound and filled with such good feelings… We have a Virginia Creeper in our garden, too, and my husband has a flat cap just like the one in the photo. Interesting how many different names it has. 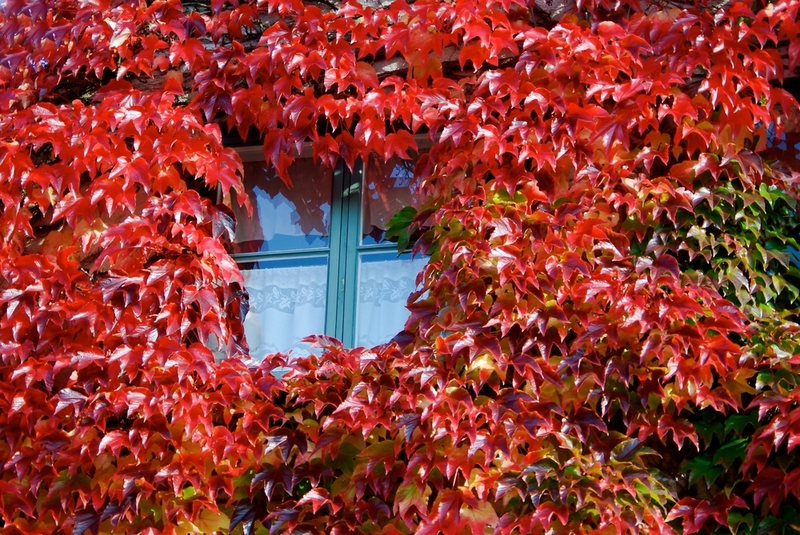 Virginia creeper is so colourful and I love to see it change from green to red in early autumn. 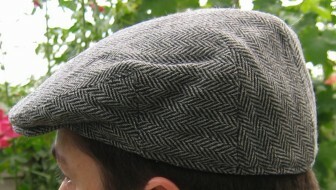 As for flat caps, my husband has always worn one, and not just for gardening nowadays. He always wears one when we’re outdoors in the winter – and he generally refers to flat caps as cheesecutters. Thank you for the kind words about my story, Irina. I’m glad you liked it. My pleasure, Millie. Cheesecutters? I don’t know what they’re called in Australia. Will try to find out. I like your writing style, dear Millie! Thank you for that lovely comment, Ann. Love the story, milliethom. And, as a side note, I currently own eight flat caps of various colors and weights. It’s good to see you back on the blog, too. I’ve been off mine for over a week now and hope to catch up with things very soon. It is important to take time off to learn & explore! Nice to connect again! My husband has a flat cap and wears it all the time. I didn’t know they were called flat caps. He just loves it! I love your story! Thank you for the nice comment, Antonia. Apologies for the late reply but I haven’t been on my blog for the last week. Sometimes, family needs have to come first. I really like how much imagery you pack into each sentence! but I want to know where is great great great Grandma too! Great story Millie! I love the red haired lady. I’ve been absent from blogging for a bit. Hope all is well!! !